If I think about where I could get a good curry in London, Shoreditch is the first area that comes into my mind. There are so many curry houses here that it is very hard to know which are the ones that offer an authentic experience. And I am not someone who is happy with an average curry. Ever since I have first travelled to India I have curry at least once a week, either cooked at home with the spices I brought back from my trips and following original recipes my Indian friends have taught me, or at a local restaurant. When I was invited to try the award-winning dishes from City Spice I couldn’t say no. 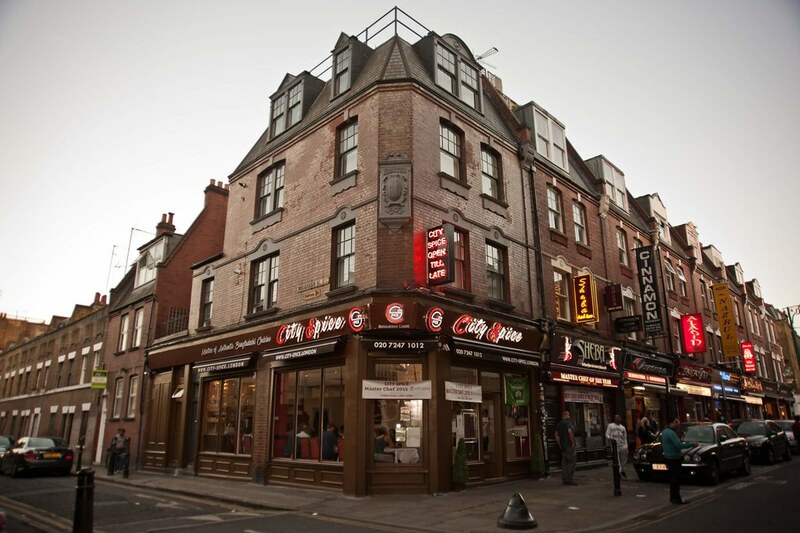 The traditional Bangladeshi restaurant has won three major industry awards in the past 12 months, the last one being the Asian Curry Awards, in November 2017. I was pretty excited to try their dishes, so I brought with me another curry-lover friend and we headed to City Spice on a gloomy rainy day, for lunch. As it was Monday, Brick Lane was very quiet. 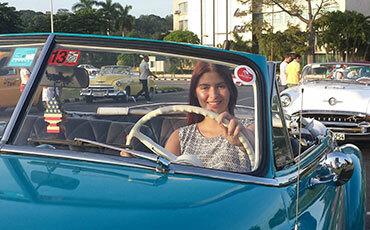 I enjoyed it however as during the weekends it gets very busy and sometimes it’s hard to walk around. We were warmly welcomed by the owner, Abdul Ahad, who made sure that we were happy all throughout the meal. 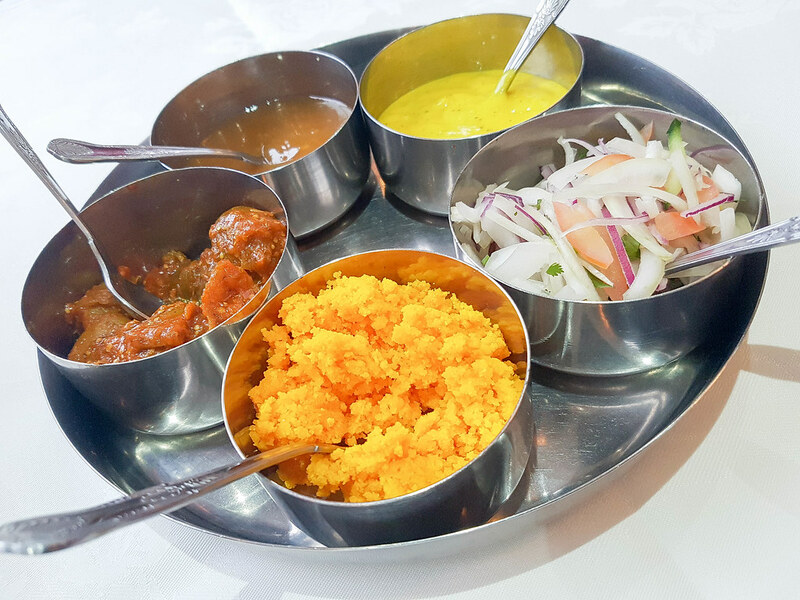 Situated right before Truman Brewery on Brick Lane, City Spice is a family restaurant run by father Abdul Ahad and son Abdul Muhaimen. What makes City Spice different from all the other curry houses in the area is the unique twist of their food. Abdul Ahad is passionate about food and he created his own special recipes by creation a fusion between Bangladeshi and North Indian Mughal Empire flavours. We started out meal with the traditional poppadoms and the selection of dips and we were surprised to be given not the usually three, but five sauces. Abdul Ahad explained that he makes his own dips and he created his own special one: the coconut chutney, a bright orange crumbly but full of flavour dip. Besides it on the plate there were chopped onions, mango chutney, spicy lime pickle and raita (which tasted a bit like cardamom). For drinks we ordered a bottle of Argentinian Malbec, reasonably priced at £23,95. 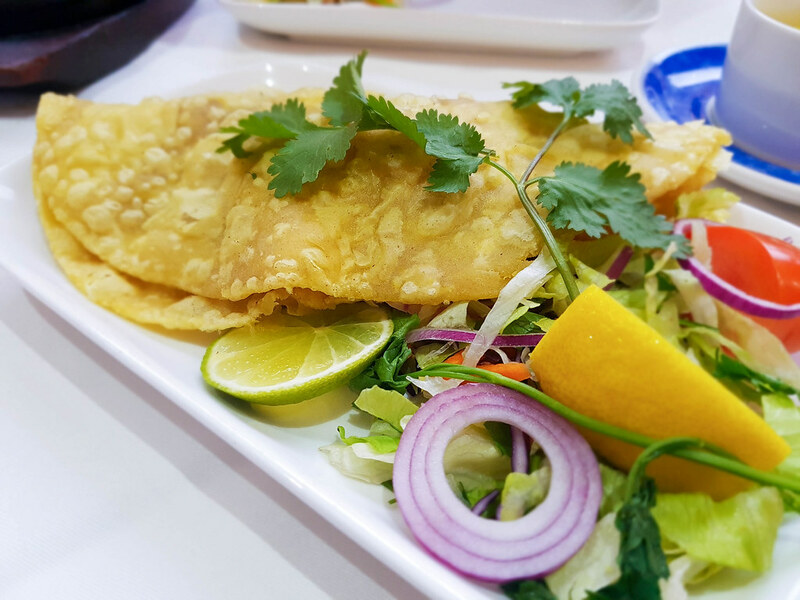 It took us a while to decide what to have for our meals because the menu is extensive, with classic dishes that you would find in any curry house but also with specials that won different awards. The menu is divided into sections, divided into vegetarian and non-vegetarian. 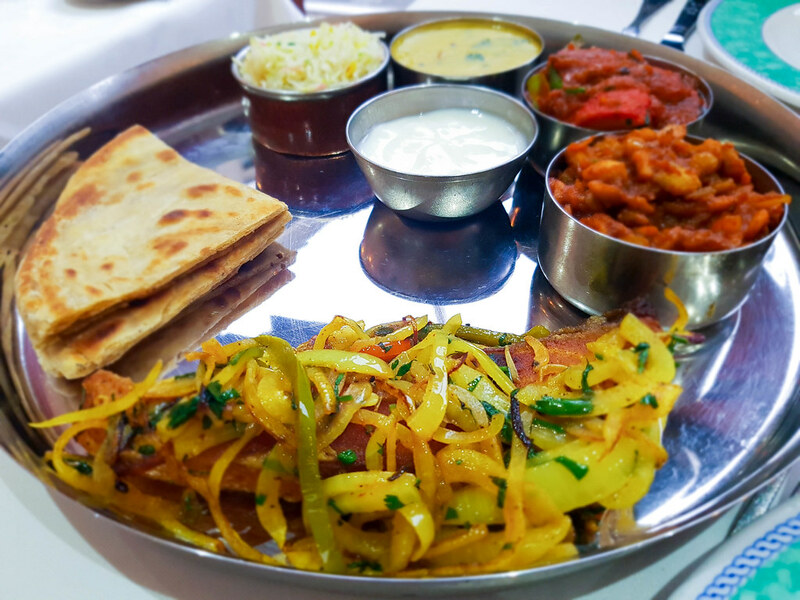 As starters we chose the duck tikka (boneless pieces of duck marinated in a special blend of mild spices), and my all time favourite, king prawn puree (king prawns cooked with chillies, onions and spices served on a puree bread). I have tasted many tandoori dishes before, most of them based on chicken but I have never had duck before, so I was intrigued by it. It came sizzling on a hot plate, on a bed of onions with coriander on top. 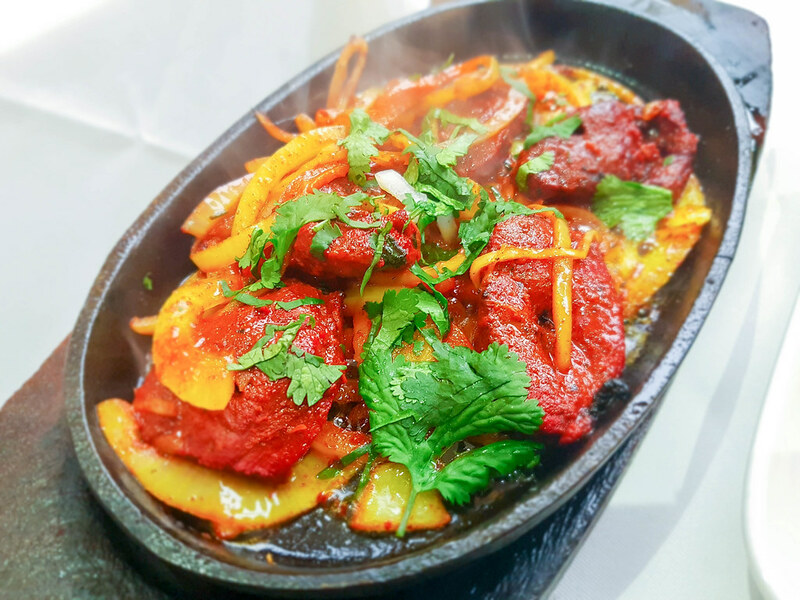 The duck tikka was very tender and full of flavour, with a bit of a smoky taste from the tandoori oven. I enjoyed the soft texture and the mild taste. 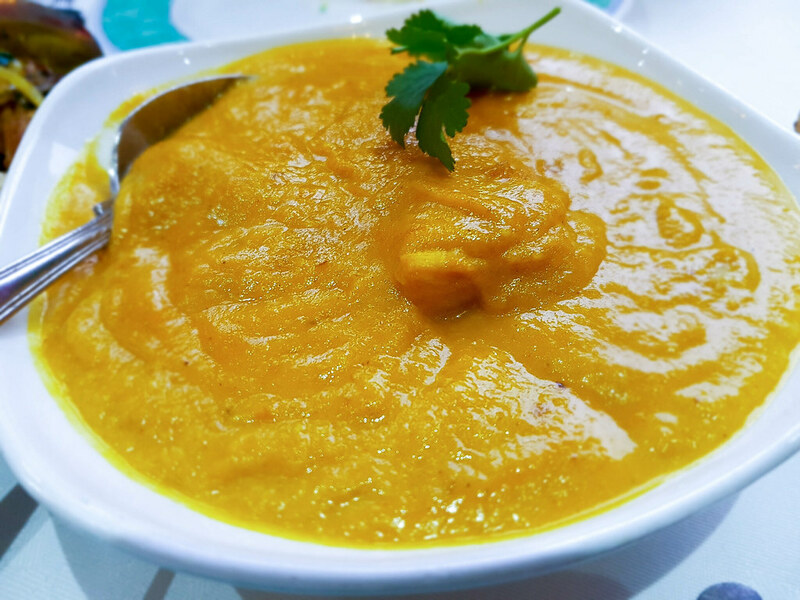 The king prawn puree was cooked very well, combining nicely the sweet and spicy flavours. The puree bread was crispy and kept its crunch underneath the saucy filling. The dish came with a side salad and a lemon wedge to squeeze on top. The prawns inside were succulent and juicy, with a spicy aftertaste. For mains we decided to order from the award-winning dishes and we went for the Chicken Goa Curry, a traditional curry cooked with mango, cream and mild spices, and for the Bangladeshi special thali which included ureebisi biran, biran maas, chicken rezola, shatkora dall, pilau rice, paratha and yoghurt sauce. I will come back in a minute and explain what all that means. The Chicken Goa Curry was delicious, the mango and the coconut milk combining into a fragrant aroma and taste. I love a classic spicy curry but from time to time I do like sweetness in my food, and this dish delivered that perfectly. I had it with a side of pilau rice which, to my surprise, looked very colourful and not yellow. We also ordered a keema naan with cheese, as it’s a novelty we haven’t seen in any other curry house before. And we did not regret it. 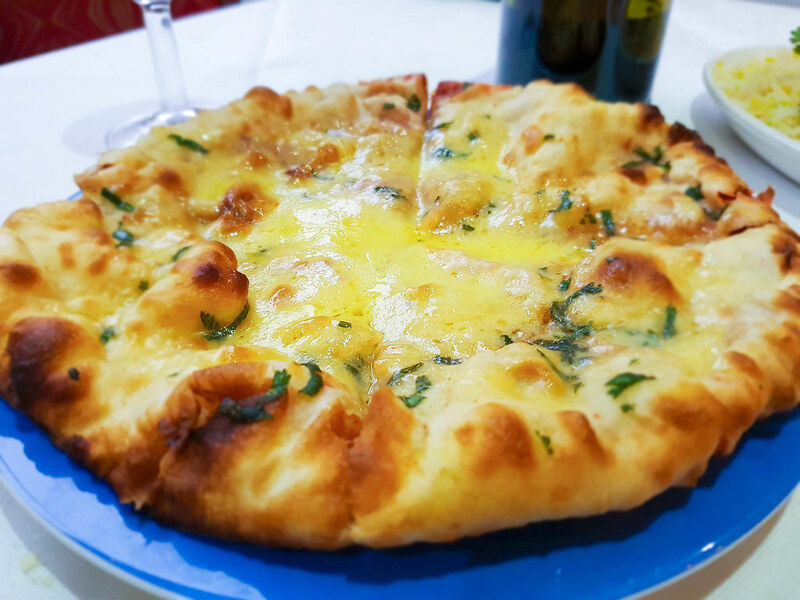 Keema naan is usually served whole and it is filled with minced lamb meat. But ours had an abundance of melted cheese on top which made it so much better! I really wished I had another stomach and try more! 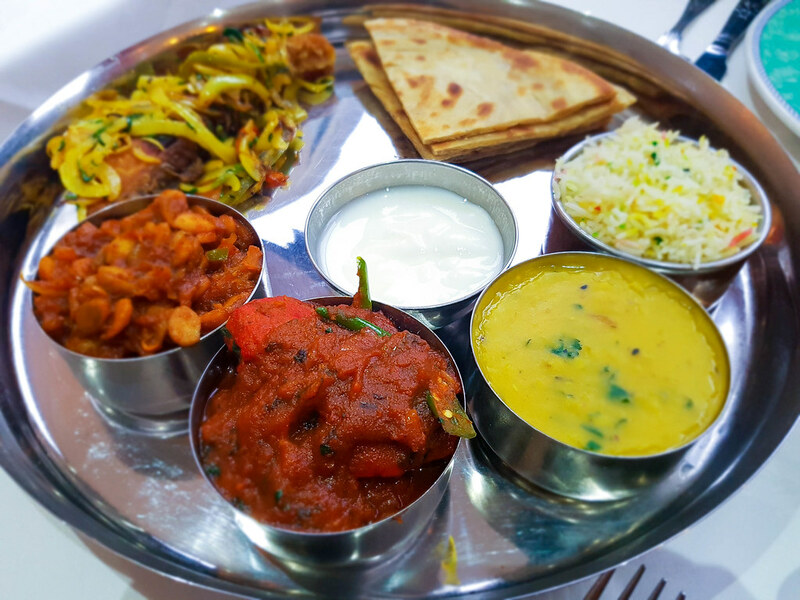 Thali is actually the name of the round dish on which the food is served and not of the food itself, originating from North India. 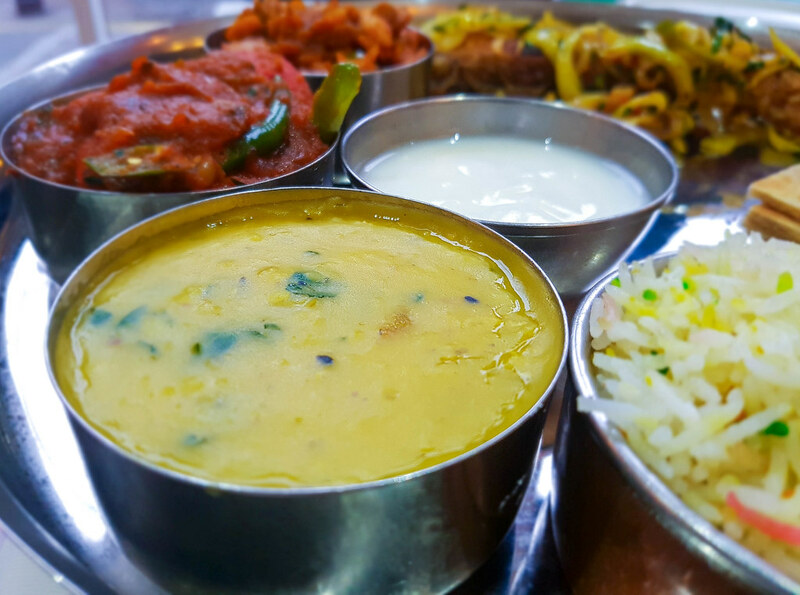 The idea behind the Thali is to offer six different dishes, each with a different taste different: spicy, sour, bitter, salty, sharp and sweet. The first dish on the thali was the ureebisi biran, a dry-ish recipe of runner beans seeds fried with onions and spices. We were surprised to find on the thali an entire friend fish, the biran maas, as in the menu you only get the original names, so you don’t really know what to expect. We weren’t that keen on it unfortunately as it was fried maybe a bit too much for our taste. The chicken rezola was my favourite dish on the thali. It was rich, creamy and full of flavour. I could feel the taste of different spices with each mouthful. The rezala sauce is made from a secret recipe, with yoghurt as the base for the sauce and spiced with green chillies. The shatkora dall was a very nice surprise. I had dall many times before but not like this. Shatkora is a citrusy fruit that comes from Bangladesh and it’s often used in curries. In the UK it has been introduced recently but I haven’t seen it until now on any menu of a restaurant. 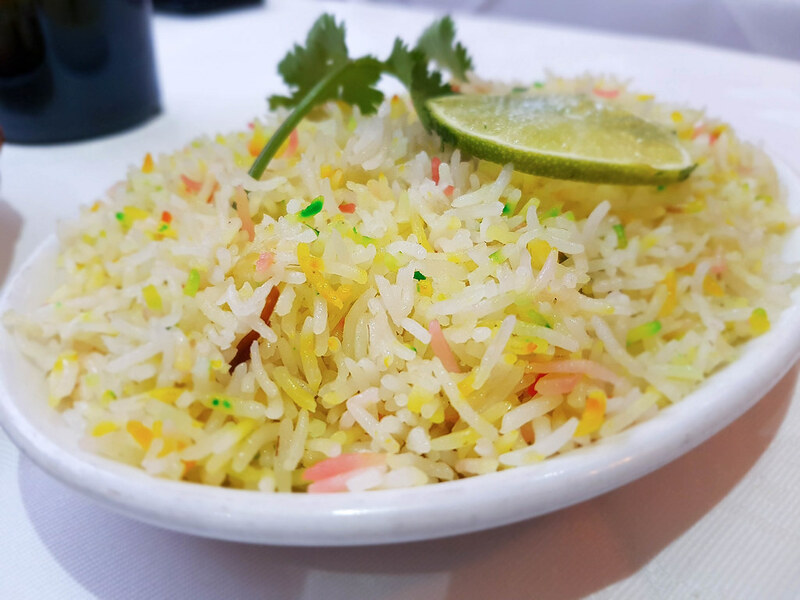 If you look in the menu, City Spice has an entire section with dishes cooked with shaktora fruit brought all the way from the Sylhet region of Bangladesh. At the end of the meal we were so full that we didn’t have space for dessert left in our tummies. I would like to return and try some of their other dishes from the specials menu, especially the chingri marasi (king prawns cooked with roasted tomatoes and peppers) and the City Spice delight (a whole spring chicken marinated and prepared in the tandoori oven, stuffed with spinach and cheese). Disclaimer: Please note that I was invited to City Spice for a complimentary lunch, to review the restaurant. However, all the comments and opinions in the article are my own. OMG the photos pay so much compliment to the food, it all looks amazing!! Wish we were living in London. I’ve walked past here so many times, but I’ve never actually been in. I’ll have to see if I can make it there next time I’m in London as it looks delicious! Wow this all looks amazing! A keema nan with cheese?? AMAZING! I would travel to London purely of that alone, the duck curry looks delicious! How lovely that your were invited to go. There’s nothing better than a family run restaurant. You can feel the warmth in the air. Also, it sounds like they know the secret to incredible food, with everything (including the dips) being homemade and so colorful! I have to say though, you had me with the keema naan with cheese. We have an ethinc grocery a few blocks from our house. The owner’s wife makes naan and I tell you what, it’s comfort food heaven. Nothing beats a warm and toasty piece on a cold winter’s night. The cheetah would like the duck dish I think while I thought the keema naan with cheese looked right up my alley. Great pictures and I pinned this as well! I’m from London and never heard of this place, it sounds amazing though, like the food looks great. It’s interesting to see an Indian restaurant have duck on the menu as it’s not a typical meat used in Indian cookery. The Goa sounds amazing with the mango and coconut milk. That food looks amazing. I love the different dips and sides you got. I think it’s the little things like that which really make a great experience. This sounds like a fantastic restaurant for a really authentic experience. Your photos of the food look incredible! All those sauces look so rich and that bread -yum! You have me really craving a curry now. Sounds like a lovely restaurant if you enjoy Indian food. I love how fresh and flavorful the dishes are, something that I wouldn’t mind trying out when I’m there! I enjoyed reading and drooling on your mouthwatering photos of those Indian dishes. It looks very tasty and flavorful indeed. Good to hear you enjoyed your dining experience there. I love the sound of the Goa curry and have rice envy for those perfect grains! Great tip to visit on a Monday when it is quieter. The dishes look so pretty and are making me hungry! I love Tandoori myself and can’t wait to try the Duck Tikka. Looks a nice restaurant and I want to visit there too and try their foods, I’m sure my hubby would love this too. I have to admit, I’m not big on spicy food. But if there is one dish that I can’t get enough of, it’s Chicken Curry. And the one you showed and described, seems simply heavenly. Everything looked so delicious and so colorful! I laughed when you said you wished you have two stomachs so you could eat more. The keema naan with cheese looked so yummy. ..who doesn’t live tons of cheese! Nice presentation of the food on the photos. Bangladesh cuisine looked a lot similar with indian food, too many spice and very tasty. I have never tried Bangladesh cuisine. All are delectable treats so colorful and surely delicious. These look very much like Indian curries. Omg I am SO hungry now! This food all looks so absolutely delicious and amazing! I’d love to eat here! Everything looks so delicious and made with love. I am not a fan of this kind of food, but I really love how light and fluffy that rice looks. Beautiful photos. It sounds like a really tasty meal. I haven’t heard of duck tikka before either so I’m glad to read it was delicious. Oh my goodness, your beautiful photos and descriptions make it seem like I was there. Such a fun place! That looks so delicious. If I am ever in Shoreditch, I will defo check this out because it looks so good. Oh, my goodness!! I have to admit that I feel so hungry right now. I want to eat all the dishes in your photos. It looks delicious and tasty. Yummy!! Oh my goodness how absolutely amazing does all this food look, if it wasn’t 1:30am I would be wanting to go and visit right now for a bite to eat! Wow your photography of this food is so beautiful my mouth is actually watering!! That naan bread looks absolutely incredible, I need it!! Next time I visit London I am taking a trip to Brick Lane for sure! !